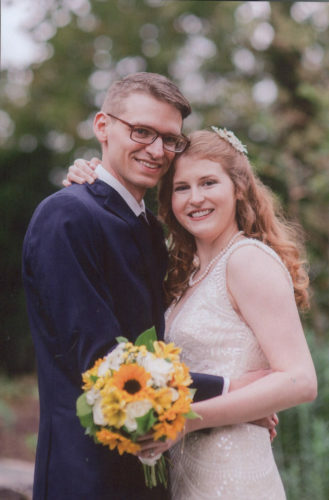 Audrey Joy Watson and Brandon Harris Mercer, both of Belpre, were united in marriage on Aug. 16, 2015 at the East Muskingum Park Gazebo in Marietta. Cody Bauman officiated the double-ring ceremony. 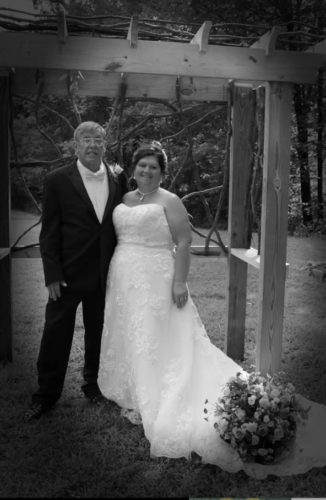 The bride is the daughter of Mitch and Dena Watson of Belpre, and the granddaughter of Joy Haynes and the late Sheldon Haynes of Belpre and Ramona Watson and the late Kenneth Watson, also of Belpre. The groom is the son of Sharon Mercer of Belpre, and the grandson of Monroe and Debbie Modesitt and the late Priscilla Modesitt of Belpre. Given in marriage by her parents and escorted to the altar by her father, the bride wore a cream trumpet-style gown with antique lace and pearls. She carried a bouquet of cream baby roses and teal callalillies. 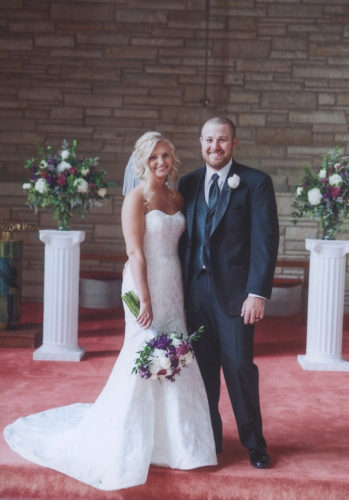 Serving as maid of honor was Nathan Watson of Belpre, brother of the bride. Bridesmaids were Megan George of Belpre, cousin of bride, and Cassie Wright of Xenia, Ohio, friend of the bride. Flower girl was Annabelle Potter of Troy, Ohio, friend of the bride. Serving as best man was Aaron Lepreste of Marietta, best friend of the groom. Groomsmen were Jimmy Hensley of Belpre, cousin of groom, and Justin Hensley of Belpre, cousin of the groom. Ring Bearer was Lawren Wright of Xenia, Ohio, son of bridesmaid. Violinist was Claire Dent of Marietta. Guest registrar was Darlene Gum, aunt of the bride. A reception was held at the Knights of Columbus in Marietta. An Italian buffet was served along with dessert table. The wedding cake was a three-tiered chocolate and vanilla cake with raspberry filling, cream icing and decorated with teal calla lillies and cream roses with burgundy ribbon. Reception attendants were Robin George, Jeremy Wigal, Jennifer Wilson, Debbie Dietz and Christie Flanigan, family of the bride. 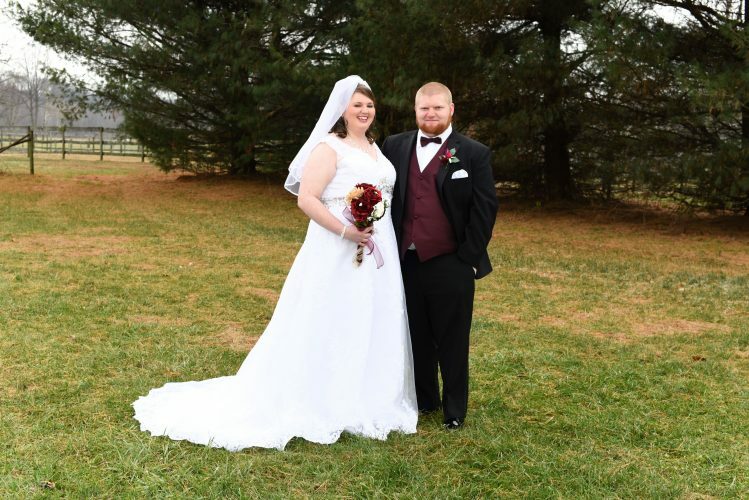 The bride is a 2010 graduate of Belpre High School. She is employed at Marietta Memorial Hospital. 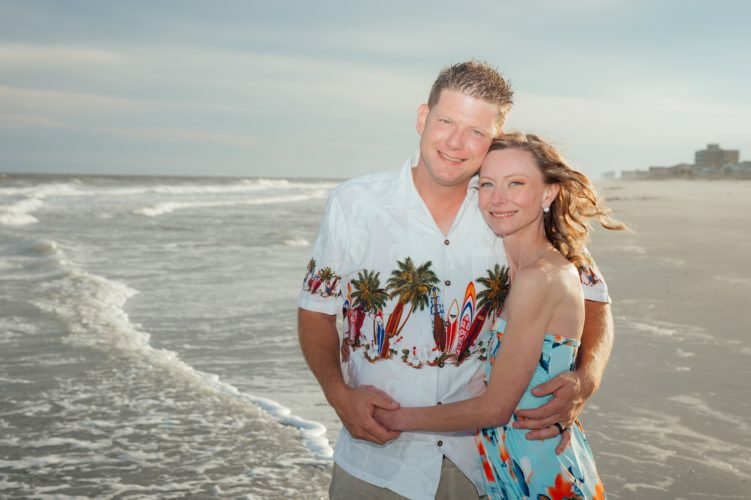 The groom is a 2008 graduate of Belpre High School. He is employed at Peoples Bank.